Since we gave you the lowdown on Bitcoin back in January, the value of the virtual currency has now collapsed and its future looks bleak. But should the people behind Bitcoin have seen it coming, and will others learn from their mistakes? What happened at Mt. Gox? 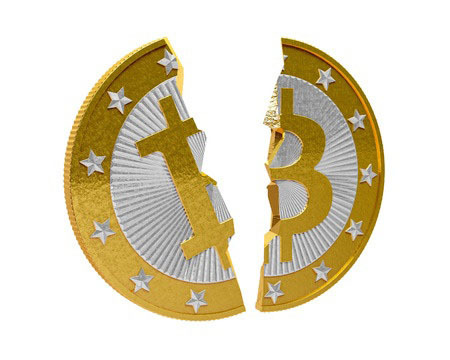 After the news broke, a massive 25% was wiped off the value of Bitcoins across the globe, and the media is now rife with post-mortems damning the operations of the virtual currency giant. This is the question on everyone's lips and, unsurprisingly, the answers are still not entirely clear. In the immediate aftermath of the Mt. Gox collapse, it emerged that there was a serious security flaw in the exchange that gave hackers the opportunity to launch 'transaction malleability attacks'. That meant hackers could fool the system to make it think it hadn't sent Bitcoins when it had, and then force the coins to be re-sent. However, although Mt. Gox faced 150,000 attacks every second in the build-up to the theft, this alone wasn't enough to trigger the collapse of the entire exchange. Many post-mortems, including one in The Guardian, argued that the subsequent revelation of worryingly lax accounting practises is what really sparked the collapse. A US judge has now frozen the assets of Mt. Gox CEO Mark Karpeles while a fraud investigation is conducted. Meanwhile, vigilante hackers have published every Bitcoin transaction since 2011 in a bid to crowdsource clues and determine whether their money was actually stolen by Mt. Gox employees. And although making direct criminal accusations may be a step too far, some serious issues with the entire Bitcoin operation have been exposed. For starters, Mark Karpeles is a coder with no experience of running a business. So it's hardly surprising that crucial accounting practises were neglected. Ryan Selkis, who leaked the company's crisis plan, claims Mt. Gox had never audited customer deposits, and that only Karpeles knew how to access the funds that were digitally stored in their finance software. There's no doubt that this is a serious blow. The loss of its third largest exchange and the serious allegations against Karpeles may do irreparable damage to the currency's reputation among the wider market: preventing the kind of growth that could see Bitcoin become a mainstream currency alternative. Is that it for virtual currencies then? Not necessarily. Although the value of Bitcoin has plummeted, they are still being traded. And the problems with the way the currency was protected, run and traded has sparked several countries, including the UK, Singapore and Japan, to reconsider their legislation. Though the laws in question won't do much to fix Bitcoin's problems, it's a step towards legitimacy that may encourage other digital entrepreneurs to make their mark.